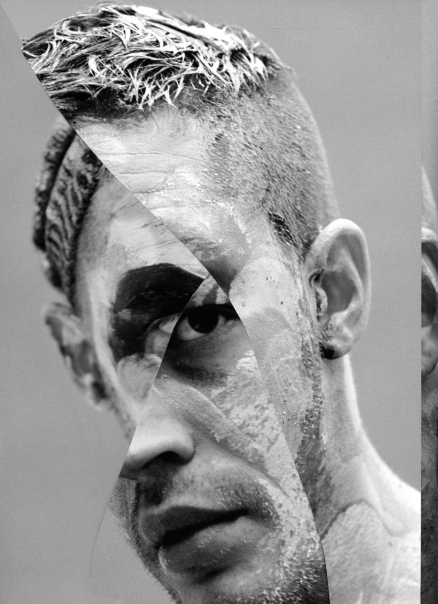 Climb Under a Spell is a solo exhibition of photographic collage work by Pádraig Spillane. Using figurative images in editorial and promotional circulation, Spillane’s work involves the selection and manipulation of these images, interposing their physical and representational worlds by cutting into their surface. Spillane’s work operates on the boundaries between our desires to be with flesh with that of our desires to be with images. They are works that are of the body, yet are understood without the body; they are body parts, gestures, and facial features that are disembodied, made strange, and re-orientated. Counterpart, 2014, printed matter, plastic fork, corrugated paper. Installation view at Treignac Projet, 2014.
hardly, 2014, photomontage, digital pigment print. 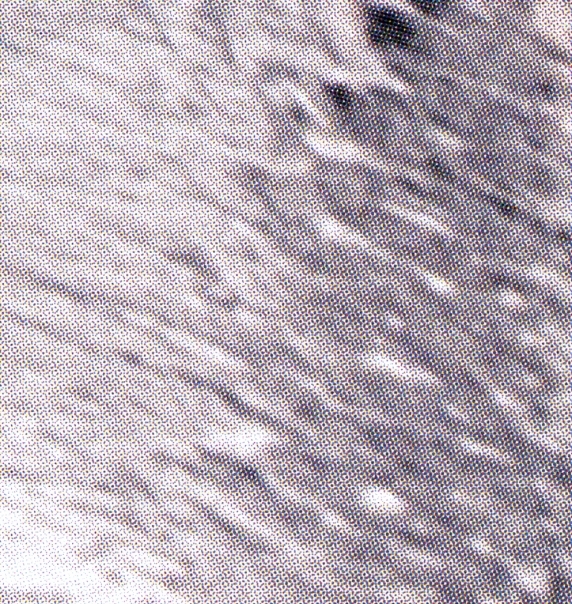 Climb Under a Spell, 2014, digital pigment print. Ache, 2014 printed matter, clothes hanger. 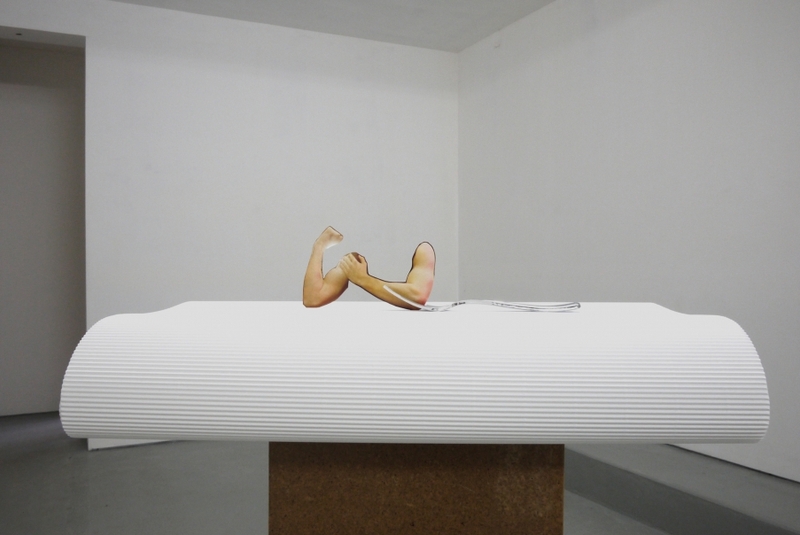 Installation view, Climb Under a Spell, Treignac Projet, 2014. 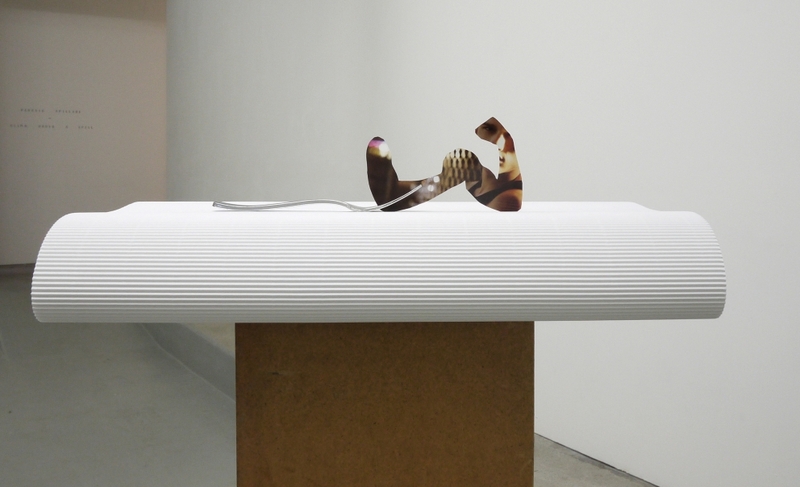 Counterpart, 2014, printed matter, plastic fork, corrugated paper. 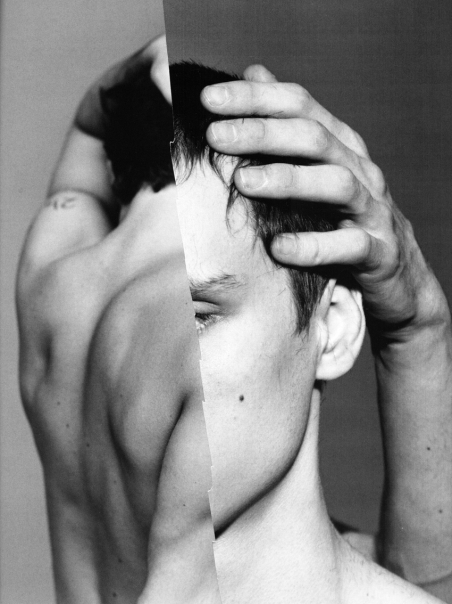 Stagger, 2014, polypocket, printed matter. 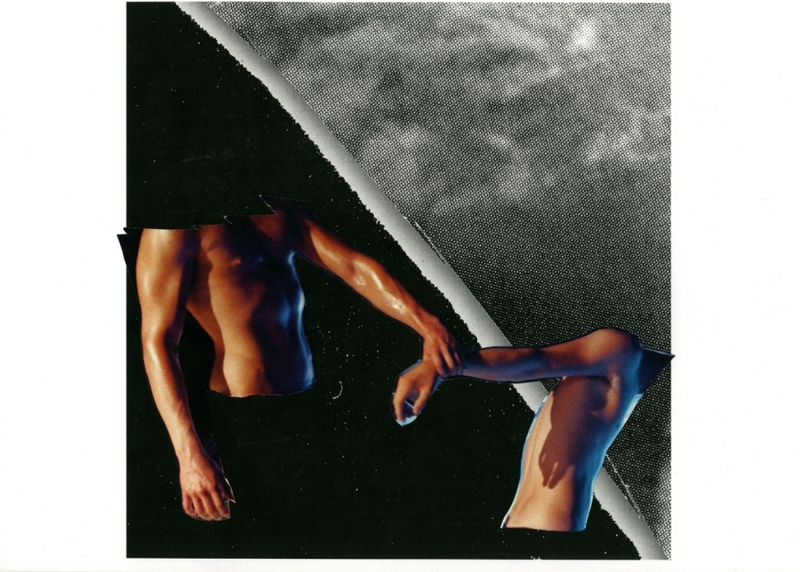 hardly, 2014, photomontage, digital pigment print. Climb Under a Spell, 2014, digital pigment print. Ache, 2014, printed matter, clothes hanger. They made me out of clay, 2014, digital pigment print. Haircut, 2014, printed matter, glass. 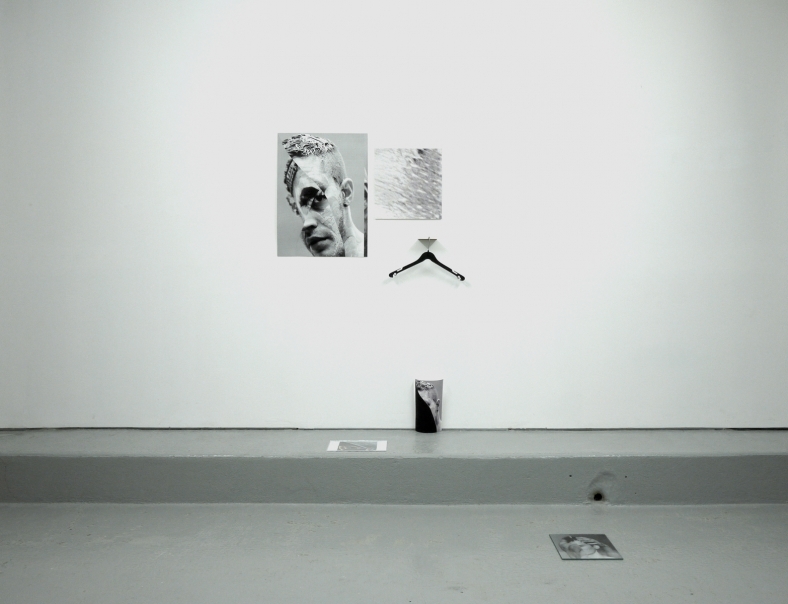 Installation view at Treignac Projet, 2014.
hardly, 2014, photomontage, digital pigment print. Climb Under a Spell, 2014, digital pigment print. Ache, 2014, printed matter, clothes hanger. Stagger, 2014, polypocket, printed matter. They made me out of clay, 2014, digital pigment print. Haircut, 2014, printed matter, glass. Installation view at Treignac Projet, 2014.
hardly, 2014, photomontage, digital pigment print. Climb Under a Spell, 2014, digital pigment print. Ache, 2014, printed matter, clothes hanger.Stagger, 2014, polypocket, printed matter. They made me out of clay, 2014, digital pigment print. 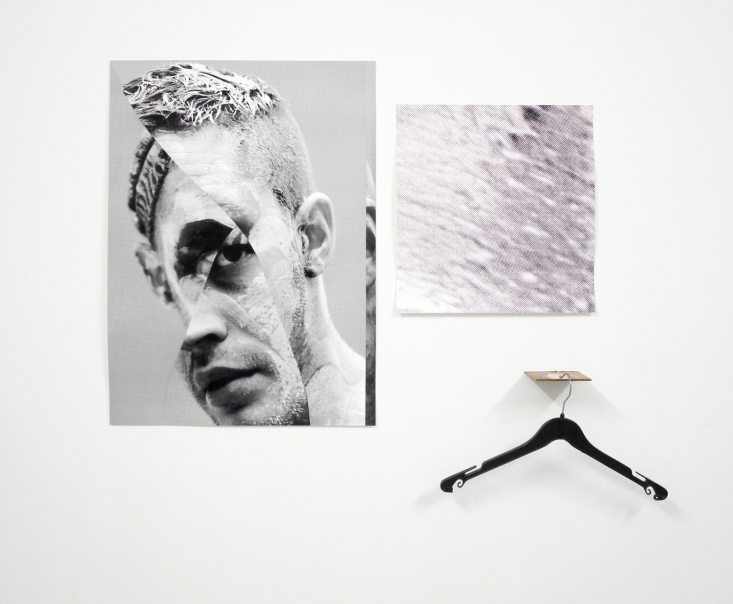 Haircut, 2014, printed matter, glass. Counterpart, 2014, printed matter, plastic fork, corrugated paper. 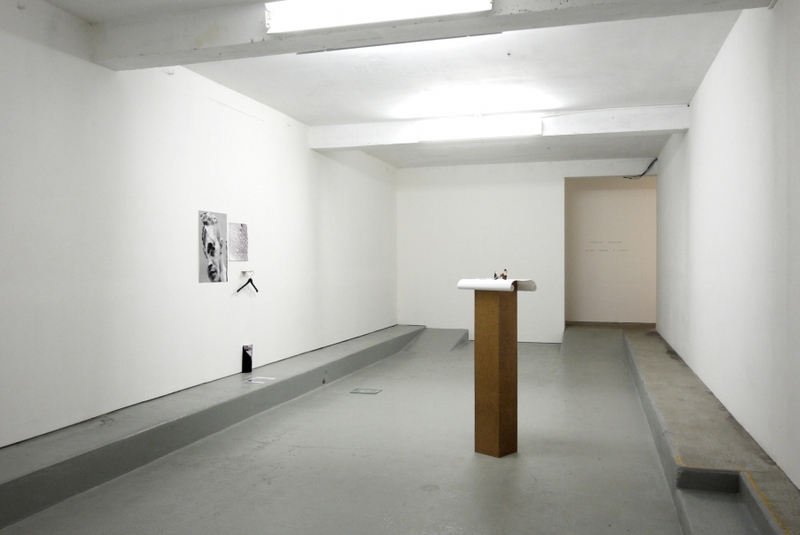 Installation view at Treignac Projet, 2014. Ache, 2014, printed matter, clothes hanger. 2014, printed matter, glass. 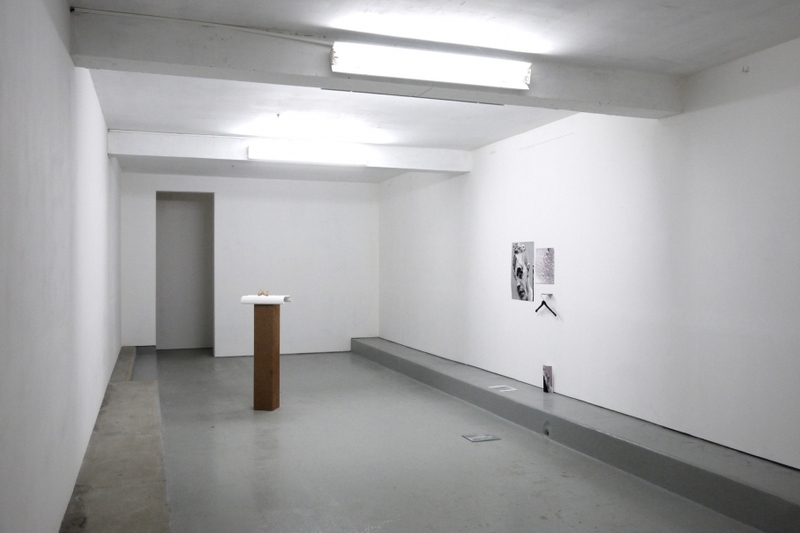 Installation view at Treignac Projet, 2014.